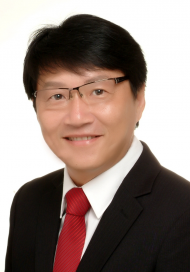 A proponent of MeWeONE (Self-Team/Family-Holism), Clement Tan has a combined twenty-six years of experience in leadership, management, communication, counselling, coaching, training, and management consultancy. He spent the majority of those years serving in the Republic of Singapore Navy (RSN) serving in various key positions notably Head of Personal Head Quarters Fleet, Head of Safety Analysis Chief of Navy Office, Head of Naval Officer’s Recruitment (i.e. Talent Acquisition), Head of Career Planning Office (Combat Technician). During his tenure with the Navy, Clement was also instrumental in ground human resource restructuring efforts. In addition, he has also spear-headed the RSN Total Safety Culture model where he designed and implemented the RSN Behavioural Based Safety Training Programme and RSN Safety Information System. Clement undertook many concurrent appointments during his stint with the Singapore Armed Forces (SAF), notably the Honorary Aide-de-Camp to the President of Singapore. For his significant contributions in counselling, Clement was awarded the Commendation Service Award by the Permanent Secretary (Defence). The other notable achievements include Letter of Commendation for outstanding contributions to the SAF’s tsunami relief efforts in Indonesia, and the RSN’s counter-piracy operation in the Gulf of Aden by the Chief of Defence Force and the Chief of Navy respectively. In the quest to nurture and grow Individuals, teams, and collectively organisation, Clement has been actively engaged in Leadership and Organisational Development, Personal Effectiveness, Emotional Intelligence, Counselling/Coaching, Team Building, Negotiation Skills and Communication as practitioner, advisor, consultant, and trainer. Further to that, Clement also facilitates LPM (Leaderships and People Management) and EDGE (Executive Development & Growth for Excellence) programme for the professional development and growth of professionals, managers, and executives (PMEs) under the Singapore Workforce Skills Qualifications framework. In building and bridging the community, Clement serves a team of volunteers as a Chairman of a Residents’ Committee, and he sits as board member in the Ang Mo Kio/Seng Kang West Town Council and the Yio Chu Kang Citizens Consultative Committee. Further to that, he is also an associate trainer/facilitator with the National Community Leadership Institute where he nurtures and empowers grassroots leaders with the relevant knowledge, skills, and attitudes to sever the larger communities. These exposures have provided him with opportunities to serve, contribute that very much aligned with his Me-We-ONE Vision. Clement holds a Master degree in Counselling from University of South Australia, Human Resource Executive Programme at the National University of Singapore and Graduate Certificate in Management from the University of Western Australia. He is a, certified 6Seconds and Neuro-Linguistic Programming (NLP) practitioner, certified advanced behavioural analyst, certified Behavioural Consultant (Careers and People Development), certified Stress Management Consultant, certified TetraMap facilitator and a certified facilitator for “The Leadership Challenge” and “Habitudes Leadership” programme. In addition, Clement is a certified coach, International Coaching Federation. At the National level, he holds the Advanced Certificate in Training and Assessment (ACTA) awarded by the Singapore Workforce Development Agency, as well as the Certified HRDF Trainer under the Malaysia Pembangunan Sumber Manusia Berhad (PSMB) Train the Trainer programme.